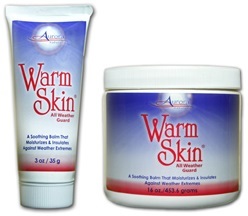 So I ordered some Warm Skin and began working on my own leg recipe, using stuff I found in various closets and medicine cabinets in my house. 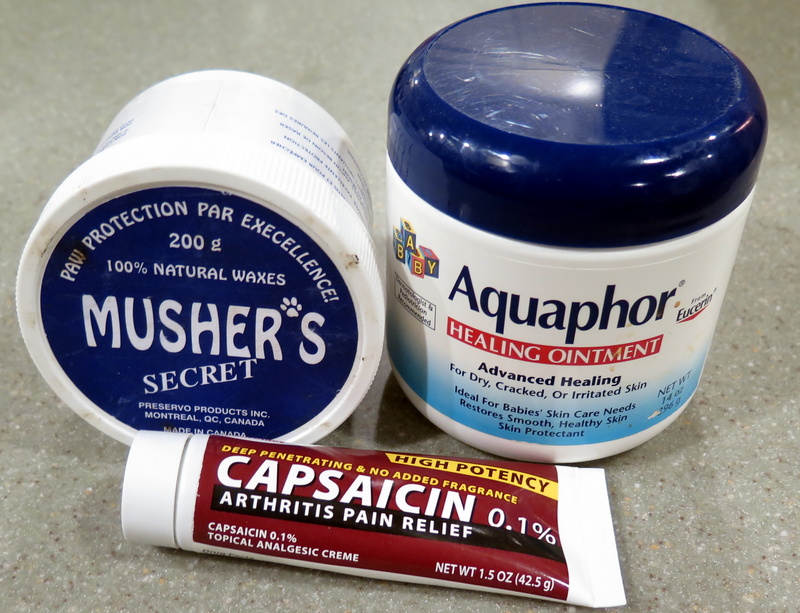 The best combination, so far, is Warm Skin, Musher’s Secret (which my wife bought to protect our dog’s feet from road salt), and capsaicin creme (which is hot, like Tiger Balm, and is usually sold as a topical analgesic for arthritis). I stirred in some Aquaphor, too—what the hell.